Planning a Diamond Jubliee Street party or Mayday event? Looking for something dynamic and exciting to create a sensation? 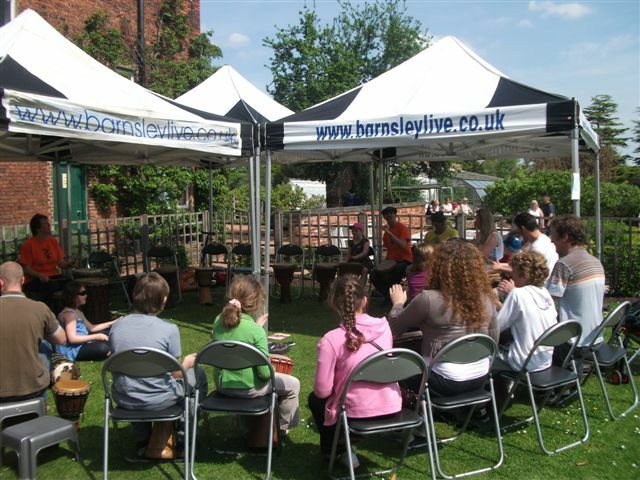 Unbeatable Energy provide drum circle events which are the perfect fun filled family activity for people of all ages. We will bring a fantastic variety of authentic African Drums and percussion to your event. We can be set up throughout the day allowing everyone the chance to drop in and out of the sessions. Alternatively you can plan the day so that street guests can book into a workshop - that way ensuring that you can create a big group to make it that more exciting and energising. Our drum circle workshops are lead by highly skilled drumming facilitators who have years of experience of helping people of all ages and backgrounds to access the beat! Drumming puts a thrill into any occassion for celebration. It creates a special sense of connection between everyone who takes part and is the perfect medium for bringing communities together.